Picture yourself marrying your true love in a romantic victorian mansion -- strolling about the lush grounds; dancing in the grand ballroom to soft music; feasting on sumptuous food, surrounded by fragrant blossoms. The Whitlock Inn was over and above my expectations. The staff (Alexis, Rhonda, & Janice) did a fabulous job. The caterer, bar tender, & servers were great. Everything ran efficiently and smoothly. The food was excellent and the almond cake was delicious. It's a perfect venue, there was plenty of parking and the Hilton Conference Center was right around the corner. I would highly recommend The Whitlock Inn. They made the whole experience as pain free as possible. The Whitlock Inn is absolutely beautiful! The moment I walked up to the backyard, I knew it's where I wanted my reception held. The entire staff was extremely helpful and accommodating, and they answered all questions that I had - which were a lot! Everyone at the reception commented on how naturally beautiful the entire property is. I had the perfect reception with a beautiful backyard for pictures. I loved everything about them and couldn't have asked for anything more! I LOVED The Whitlock Inn. It was the perfect reception venue for a wonderful price. We walked in off the street without an appointment and they welcomed us and stole our hearts. 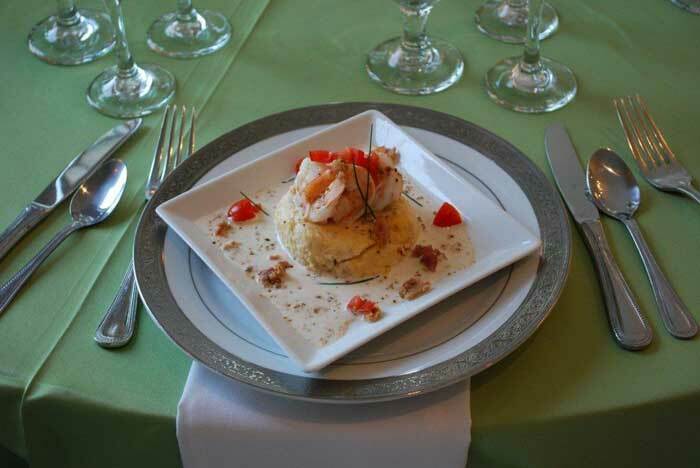 They have an in-house caterer who is phenomenal and far surpassed our expectations. They were always wonderful about communication between both the venue and tastings. They were flexible with creating our food package--able to move different options, open appetizers early for guests, and allowed us to bring in our own cake. Winter weddings are definitely the best because it was perfect temperature and allowed us to have a couple tables outside for extra room. We decided to have a candy table as our favor, bought our own candy, but they graciously provided the bowls and jars. There's plenty of room throughout for tables, buffet, cake- cutting, photo booth, and dancing at the end. We highly recommend The Whitlock Inn for whatever your venue needs! Alexis was wonderful to work with! She made every part of the process easy, and was incredibly patient with this indecisive bride. The day of our wedding, she went above and beyond to make sure we were fed, happy, and well cared for. The inn was an incredible venue, and the food was perfect for our crowd. Nothing super trendy, just a beautiful place and delicious food. Well worth the money, which was our only con before we had our wedding, and after our wedding, we have no complaints at all. Also, Alexis answered every email and phone call promptly, leaving me with nothing to worry about. My daughter and her new husband celebrated their wedding reception at the Whitlock Inn on October 11, 2014. It was perfect! Alexis and Rhonda helped us every step of the way. They anticipated any problems and handled everything beautifully. The beautiful garden and the window lined ballroom with the hardwood floors and crystal chandeliers made everything elegant. The food was wonderful. For the first time, feeding 120 people seemed easy. I recommend the Whitlock Inn with no qualifications. Trust them. You will be delighted. 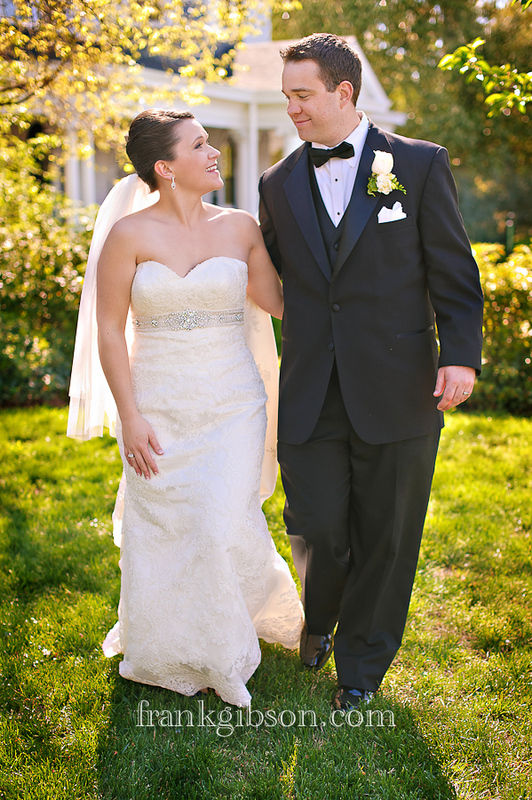 My husband and I could not have asked for a better wedding day at the Whitlock Inn. We were extremely satisfied. The staff were wonderful through out the whole process. If I had any questions, Alexis was quick to answer and also make helpful suggestions. The decorations were set up exactly as I had asked. The food and cake were amazing. 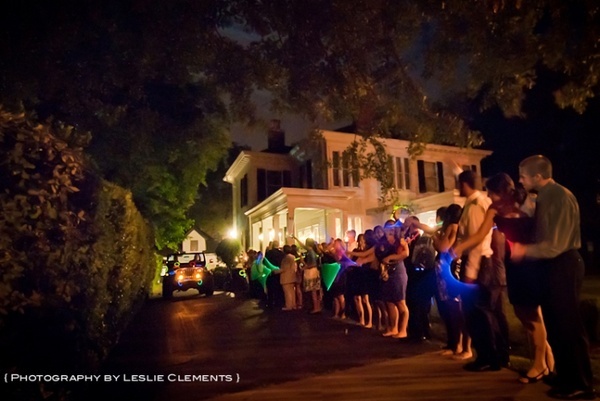 I had numerous comments from guests about how beautiful the ceremony on the back steps was. I would absolutely recommend the Whitlock as a venue to any bride. The Whitlock Inn is a beautiful venue run by helpful and professional people. They provide so many helpful and stress-relieving services to help the day go so smoothly and wonderfully that I could not help but be blown away by how great everything went. 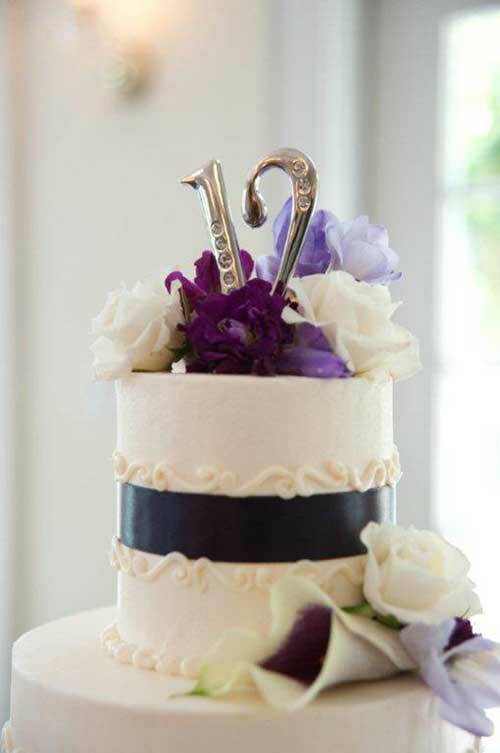 Having the caterer right next door was great as well- they make top-notch delicious food and their cake is to die for. I would recommend this venue to anyone looking for a beautiful, unique venue to get married in with no stress- it is worth every single penny! 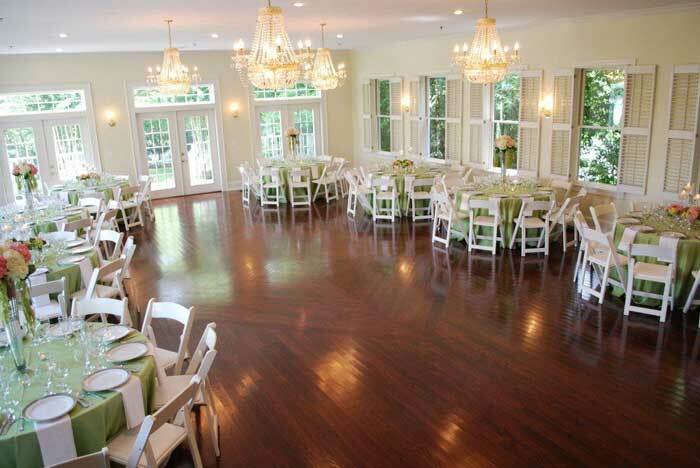 We used The Whitlock Inn on August 15, 2014 for our son's wedding rehearsal dinner. Alexis and her staff did a terrific job. The house was spotless, the service was first rate and the food was delicious. We were very pleased. Everyone commented on how beautiful the house was and they all wanted to know about the history. We had about 70 people there and it didn't feel crowded at all. 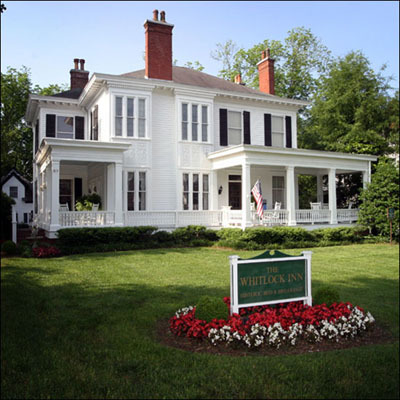 It was a terrific experience and we recommend The Whitlock Inn wholeheartedly! Our daughter's wedding at The Whitlock Inn was lovely. The garden was beautifully landscaped, the in-door reception area was clean and well-maintained, the food was excellent, the bartender was nice and professional, and the staff were helpful, accommodating and very nice. They thought of everything and offered a very fair price for what we received. I can't say enough good things and am very pleased with our decision to host our daughter's wedding at The Whitlock Inn. It was great! 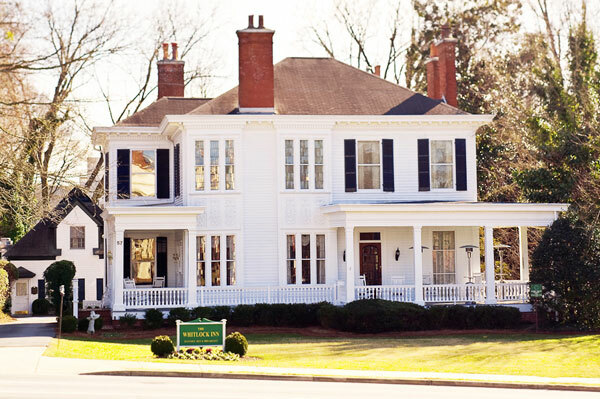 We had a tremendous experience at the Whitlock Inn. We liked the idea of One stop shopping - not having to travel to multiple venues. We had our ceremony and reception in a beautiful bed and breakfast inn. It was nice for our guest who were local and from out of town to find and everyone loved the place. Would recommend - all the items they provided and contacts were just great. We thoroughly enjoyed our experience and the atmosphere at Whitlock Inn. It was perfect for our book/tea loving daughter. It was beautiful with minimal work on our part. Rhonda was a joy to meet with and gave us helpful wedding planning tips. I very much recommend this beautiful place. 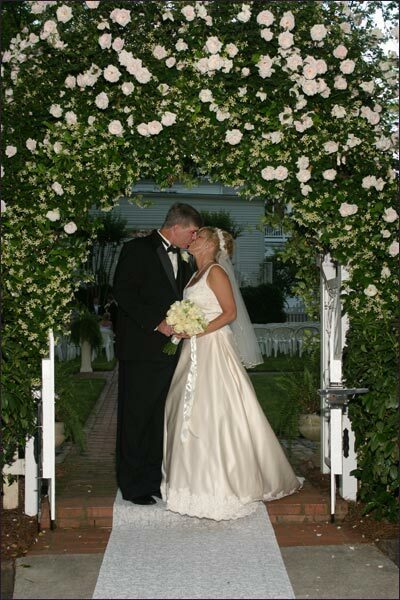 The Whitlock Inn was the perfect place to hold our wedding. The staff met every need and request. 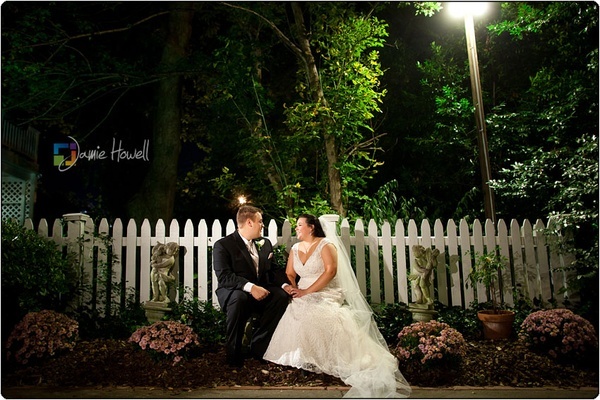 The backyard provided a great outdoor setting for our ceremony, and the Inn itself is very charming. Our guests raved about how beautiful everything turned out and how great the food was (provided through Carriage House Catering at the Whitlock Inn). I wouldn't have changed anything having to do with our experience or the venue itself! You will not regret having your wedding here. Everything about the Whitlock Inn was perfect. The house is beautiful and the staff here is amazing!! Everything about it makes your wedding planning easy which is what I needed! This place is absolutely amazing! They took care of everything down to the tiniest details. I (the Bride) didn't have to worry about a thing. Also my bridesmaids and mother didn't have to worry either. They took care of everything. They made the event stress free and so much fun! 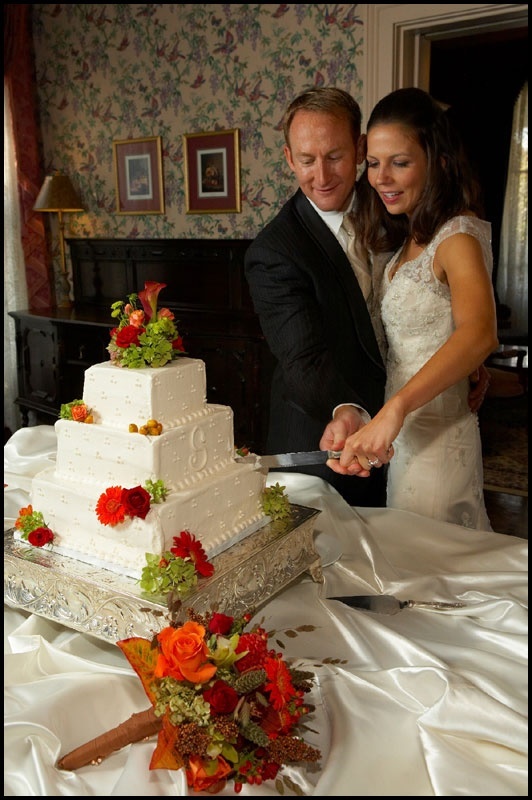 The Whitlock Inn is an elegantly, historical venue for any occasion. Alexis and Rhonda went above and beyond to fulfill our vision of what we wanted for our wedding reception. 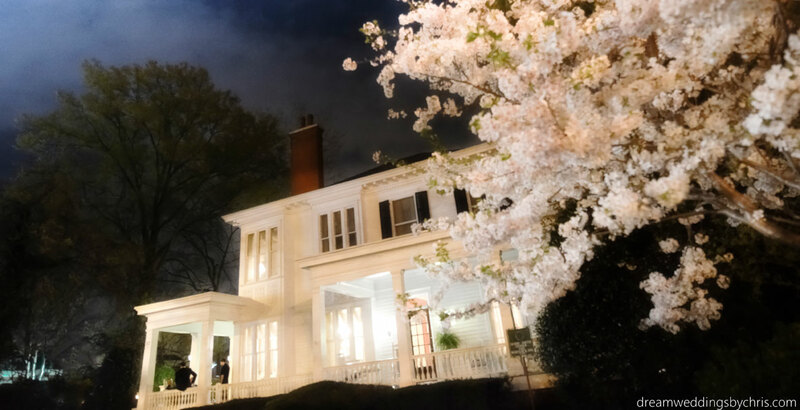 I planned my wedding from Arlington, Virginia, and as stressful as that may sound, Alexis and her staff helped in very way possible to make our perfect day go smoothly. We had our wedding in March and Alexis and her staff were just amazing. They planted flowers the day of our wedding in the garden prior to our arrival for our formal photos. The in-house catering group, Carriage House Catering, prepared five star entrees, and an amazing three tiered wedding cake. My husband doesn't particularly enjoy cake, and absolutely loved our wedding cake Carriage House prepared. Our guests are still talking about how fun yet classy our reception at the Whitlock was! Thank you Alexis, Rhonda and the rest of The Whitlock Inn and Carriage House Catering Staff for helping us on our special day. The Whitlock Inn was a perfect choice for us. The staff was so accomodating and made the planning process easy! We received great feedback on the food and how charming the Inn was. The staff was so professional and answered all of my questions thoroughly. They really went above and beyond. We will always remember our wedding here! Thank you!!! My son and his new bride were recently married there. Everything was very well done. The staff was very friendly and accommodating. They ran their place very professionally. The outdoor setting was intimate, beautiful, and special. The food was outstanding, and the wedding cake they made was beautiful. Everyone in attendance commented on how delicious the food was. The DJ was great, too. We especially were pleased they had a place to keep their dog while the reception was going on. It was wonderful for us who had to travel, especially the bride and groom. They truly didn't have to worry about a thing. I would highly recommend the Whitfield Inn. The Whitlock Inn was absolutely perfect from the time we visited just to look at the venue until the final sendoff at the wedding. The staff was all extremely accommodating and friendly to work with. They have such an excitement for each wedding which made my family and I feel very special. My parents were coming in from out of town but the Whitlock staff worked around our availability and needs. 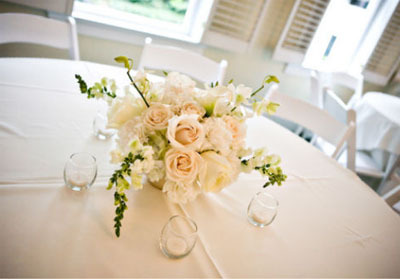 Everyone was so professional to work with and absolutely had an expertise for event planning. We loved that the Whitlock is a one-stop shop for a wedding venue. Everything from the food, cakes, linens, tables, bars/tenders, etc was all taken care of. We brought in alcohol and rented a tent using trusted recommendations from the Whitlock. All of the promises exceeded all of our expectations on our wedding day - I highly highly recommend selecting The Whitlock Inn for your wedding venue! I had an amazingly positive experience with the Whitlock Inn. The people who work there are wonderful. They were friendly, accommodating, and excited. We don’t live in Atlanta, so we were nervous about the planning process, but they made it easy. They were responsive when we had questions, and worked with us to set-up meetings while we were in town. Alexis, who owns the Whitlock, was thorough, and clearly put in the extra effort to make sure my fiancé and I and my family were all happy. The venue is beautiful. I can’t do it justice so I encourage you to take a look at their website or visit. The reception set-up was perfect. There was a dance floor in the main hall, but there were also rooms where people could chat. In terms of of value, I’m still surprised that the Whitlock was the most affordable place we looked when checking out venues, because we liked it the best. I give the Whitlock my highest recommendation. My daughter and her husband held their wedding reception at the Whitlock Inn and it was wonderful. 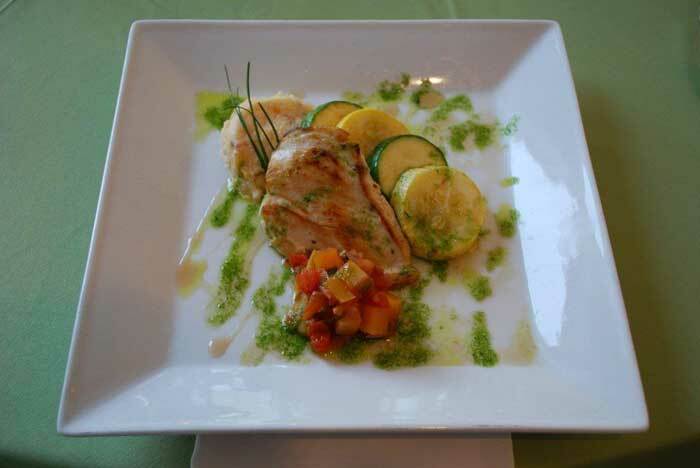 The food was great, the staff was very pleasant and helpful and the setting was elegant and perfect in every way. Many of our guests commented on how much they enjoyed the food and how lovely the Whitlock Inn was. It was the perfect place for them to celebrate their marriage. I highly recommend them. The Whitlock in was a great place to have a wedding reception. They had a room reserved for my sister (the bride) to get ready in and the staff was really friendly and ready to help in any way they could right when we got there. I really liked the indoor/outdoor set up that they had as well. 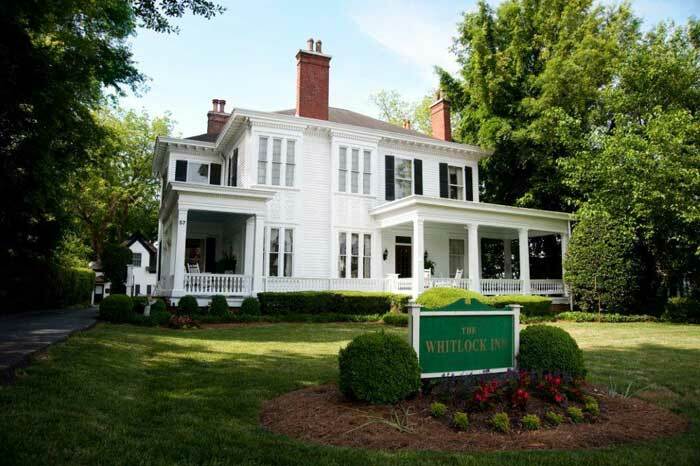 Our experience with the Whitlock Inn was, quite simply, a delight. Both Alexis Amaden and Rhonda Foster were available, knowledgeable, courteous, and invested in our having a perfect wedding experience. The inclusive nature of their process (venue, catering, cake, flowers for the main buffet table, and event coordinator included) made everything very easy to organize. Each time we made a payment, we received a letter of receipt and instructions for next steps. The buffet fare was excellent and our guests gave positive feedback. Karen Casey (wedding planner) was very efficient in keeping us on track the day of the rehearsal and the ceremony. 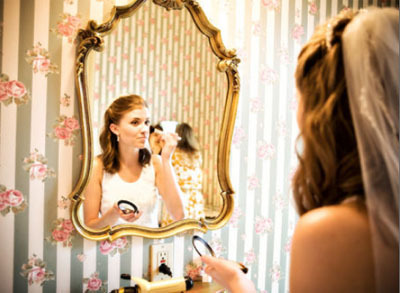 The bridal changing room was ideal for our preparations, and the Inn's willingness to work with our photographer prior to the ceremony was so helpful. Finally, we can't say enough about the elegance of the Inn itself. It was truly all I dreamed of as a wedding location. I was more than pleased with the Whitlock Inn--the staff there certainly went above and beyond. As I was planning the wedding out of town, it was very convenient for me that I only had to have one on-site meeting at the Whitlock Inn during my planning process. Alexis and Laurie were wonderful to work with either by phone or e-mail throughout my planning process. On the day of the wedding, Alexis was at the Whitlock Inn when I arrived and was an enormous help to me. My only small criticism is that all of the Whitlock Inn's official correspondence is through U.S. Mail, and because I was in the process of moving while I was planning my wedding, some of the mail didn't make it to me until much later. Otherwise, I had a fantastic experience working with and having my wedding reception at the Whitlock Inn! 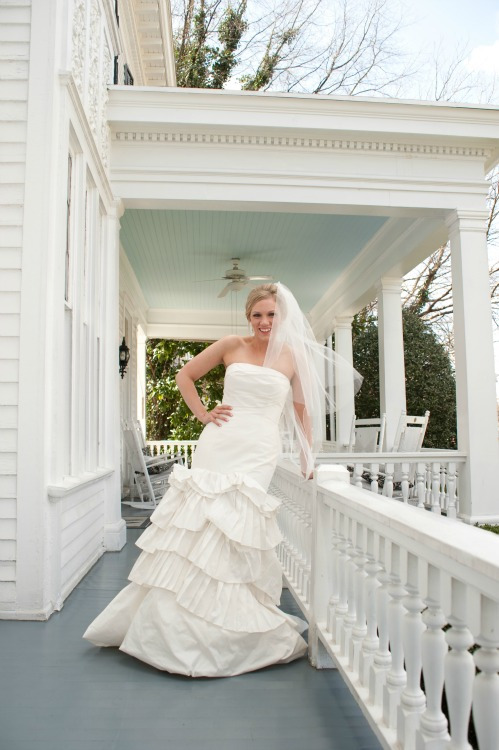 I loved loved LOVED my wedding at the Whitlock Inn! The staff is amazing and always went above and beyond in helping me out along the way! I had a very tough year with my father passing and my fiancé (now husband) being deployed and Alexis and the gang were so incredibly understanding with everything. Our military wedding and ceremony went off without a hitch and my since they left me nothing to worry about I didn't have to become a Bridezilla ;). We are so incredibly greatful to the Whitlock Inn for making our day so magical! The Whitlock Inn was AMAZING! The food was to die for and everything was so beautiful! They really customize your taste and do a phenomenal job. The staff was so accommodating and my guests left the wedding raving about how much they loved it! On a scale from 1 to 10 we give it a 20! When I first started planning my wedding I was worried, concerned, and (honestly) overwhelmed. Once I met with Alexis and Rhonda at the Whitlock Inn, my fears were immediately put at rest. They were knowledgable and helpful in the planning process. They had many wonderful ideas (I welcomed them with open arms) for table settings, photographers, videographers, DJ's, and catering. 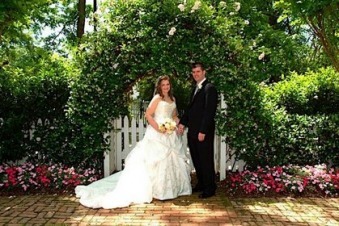 The staff at the Whitlock made my wedding planning a fun and enjoyable process. I was able to concern myself with the little details (like which pictures to display) and not on the "big things" like the set up after the ceremony. The Whitlock staff were friendly and accommodating to my many questions. They were also very helpful with the different vendors we were using for photography, flowers, catering, and the DJ. I would highly recommend using this amazing and beautiful space to have a magical and special wedding day. I was married at the Whitlock this past Mother’s Day. It was fantastic! Words cannot express how thankful my husband and I are to the staff at The Whitlock & their in-house Catering service The Carriage House. They truly make the wedding experience about you and your mate. My guy found this gem. He was determined to find a classy, intimate, charming wedding & reception venue that would fit our budget & he did! Linen, Sliver, China were included, the decorations splendid, the food was divinely delicious, the wedding planner & coord. 5- star and service impeccable. The Whitlock staff was with us from early planning till the end. We were allowed to visit or call at anytime. They also gave us a list of suggested vendors, & a few do-it- yourself Pinterest worthy ideas. Basically, Whitlock made sure our wedding experience wasn’t about the industry but us. We had our wedding and reception at the Whitlock in January of 2013. My parents and I went to a few different sites and were most impressed by the Whitlock. It's a beautiful venue and has a wonderful staff. Rhonda and Alexis were extremely accommodating. I emailed them no less than 22 times with questions and always received a prompt response. That took a load off the planning process. The caterer and wedding coordinator were fantastic. Our wedding and reception went off perfectly. 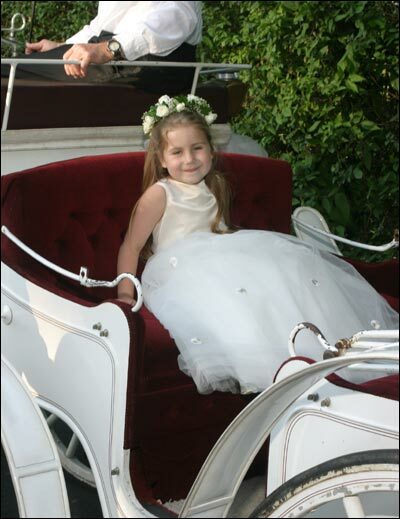 We had it indoors due to the time of year but were lucky enough to get some outside photographs taken by the gazebo. Only mishap was of course my tossing the bouquet into the ceiling, oops! Overall I highly recommend this location. 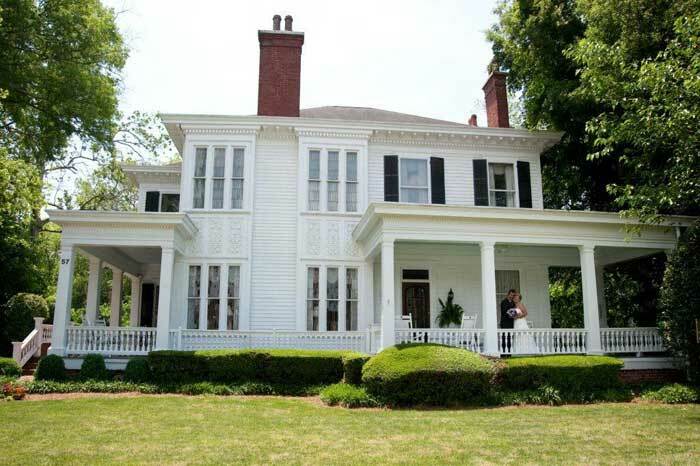 The Whitlock Inn in Marietta Georgia is fabulous!!! Our wedding went perfectly. Alexis, the Innkeeper is a wonderful person and all the staff went way above and beyond our expectations. They seem to think of every detail before you even have to ask. The wedding coordinator, Karen Casey is the best! She seemed to be everywhere at all times. The grounds are absolutely beautiful and the house is amazing. Our wedding could not have been more perfect. We also thought they were reasonably priced for all that they do. The food is delicious. 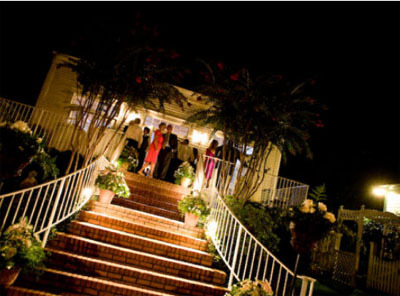 Our guests kept raving about how beautiful the venue was and how delicious and elegant the food was. Just a perfect day that we will remember for the rest of our lives!! Be sure to check this venue out, you will not be disappointed. This venue was GORGEOUS! Everything was beautifully decorated, the vendors provided wonderful products/services, and the staff was incredibly complimentary and friendly. Here's the only reason I didn't give 5 stars: The weather prohibited having the wedding outside, which was the original plan. We rehearsed it the night before outside. When it started snowing and the wedding was moved indoors, the wedding coordinator didn't really come and run through it with us again to adjust to the change of location. We went and found her so that we could rehearse it when she didn't look for us to tell us. Eventually we had our rehearsal time, it was just a little bit of added stress when we realized we didn't know how to do the ceremony indoors. She was very sweet, though, and I'm sure she just had a lot on her plate that day. I don't fault her for it, I just think it slipped through the cracks. The Whitlock Inn is a wonderful place to have a wedding. 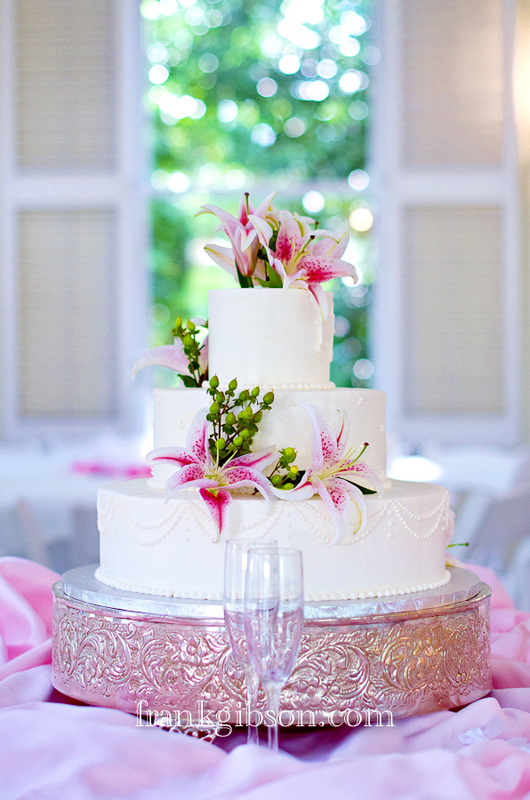 My daughter had the wedding on her dreams there in Feb-everything was perfect.The Inn itself is beautiful and oozes Southern Charm,they took care of everything for us-the food was amazing and the cake was beautiful and delicious. Karen, the bridal consultant walked us through the rehersal and the wedding was wonderful-she was full of ideas and made sure everything was covered especially things that had not entered our minds. 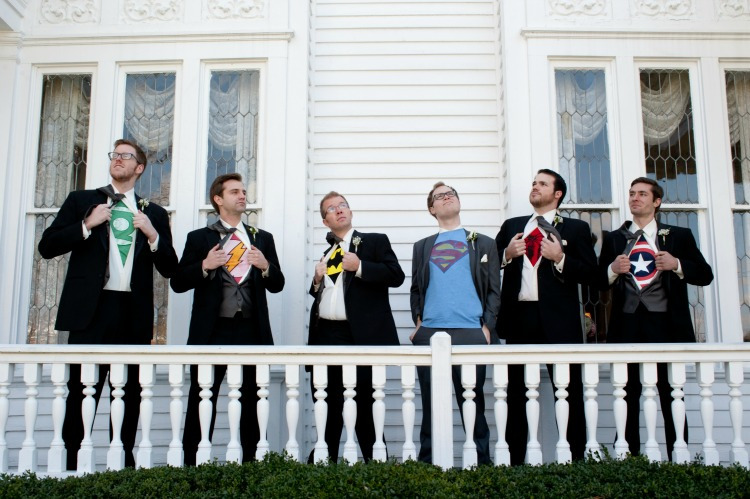 The wedding and reception were both there--would not do it any other way. Can not say enough about the entire staff-they made the wedding a joy that we will never forget, can not say enough about them. The Whitlock Inn was wonderful. The staff was knowledgeable, efficient and accommadating. The Inn was immaculate inside and out. Food tasted delicious, presentation was stunning and quantity was abundant. Many comments that the cake was the best they had ever tasted. Floral arrangements were very impressive and beautiful. Alexa, the owner, makes you feel like you are getting married at the home of a friend. 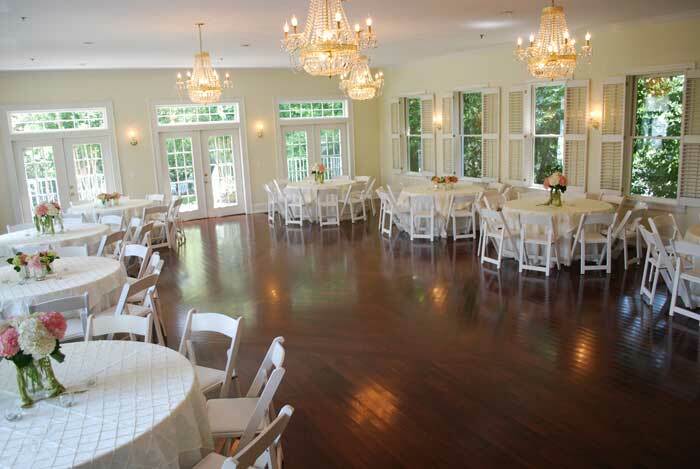 The Whitlock Inn is a beautiful venue for a ceremony and reception. I had my November 5th wedding outside and it was wonderful. The reception was inside and outside. The food was awesome and vegetarian since my husband and I are vegetarians. They were so great about catering to us! The day went so smoothly and everything was perfect. Their wedding packages are so wonderful and definitely helped take the stress off of me while I was planning. 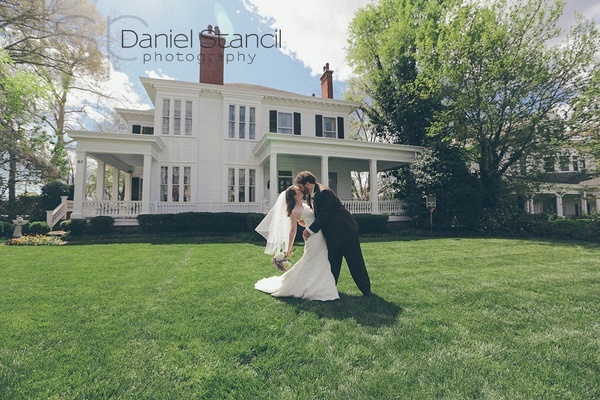 The Whitlock Inn was the perfect location fo my June wedding. I could not have been more pleased with every aspect. 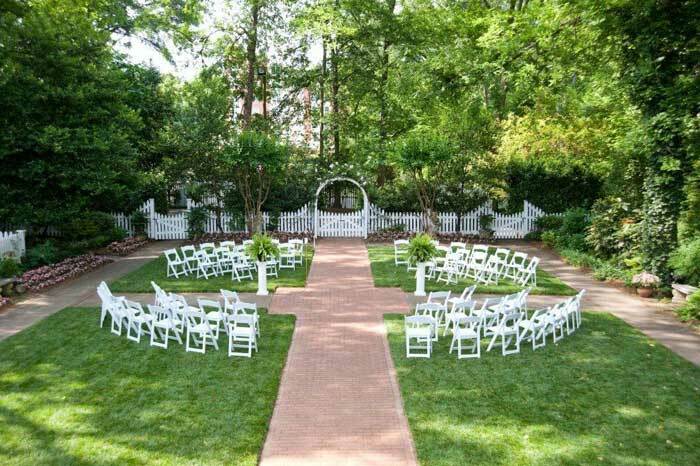 The grounds are BEAUTIFUL and needed very little additional decorations for an intimate outdoor garden wedding. I had a Saturday morning wedding and adored it but could also invision how great an evening wedding there would be. The set up inside and outside were beautiful. 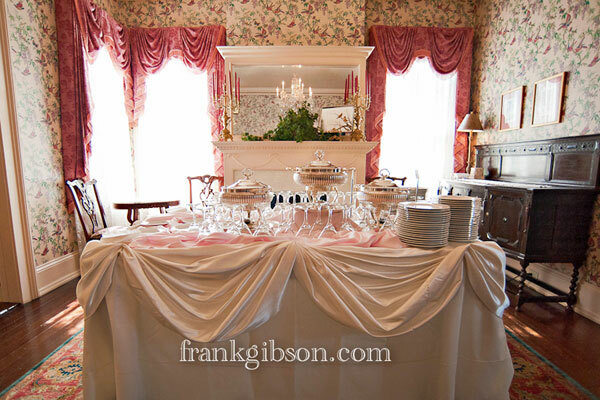 Table linens were included with many wonderful choices to choose from. The food was wonderful and the cake (yes they do the cake there as well!) were perfect. Alexis and the staff took care of everything asked and provided great insight. It was the perfect venue because I was able to make the wedding so intimate and personal but seemed so stress free because most aspects of the wedding were taken care of by the one vendor. Prices were great and you can bring in your alcohol. 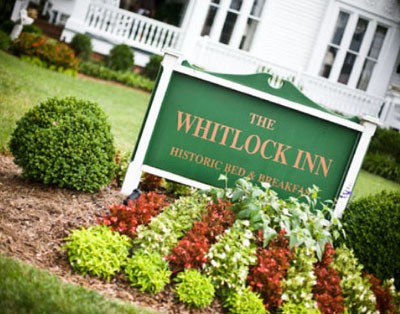 Cannot say enough great things about the staff and the Whitlock Inn! Our experience at the Whitlock Inn was WONDERFUL!! The food was delicious, the staff was nothing but helpful (especially Alexis, the innkeeper), and our wedding went off without a hitch! It actually stormed right before the outdoor ceremony was supposed to start. Alexis and the coordinator, Margie, kept me informed about the weather-they brought the laptop upstairs to show me the radar and discussed with me what to do. Ultimately we decided to wait ten minutes to see if it moved out-it did, and our wedding was beautiful! I would highly recommend the Whitlock to any bride looking for a beautiful setting and excellent staff. The Whitlock Inn was the perfect setting for my daughter's October wedding. The Inn itself is beautifully decorated, and the grounds and garden are immaculate. Alexis and her staff could not have been more helpful, gracious, and accommodating. Whenever I had questions during the planning process, Alexis was always accessible by phone and e-mail. Karen, the wedding director, was also terrific! Both Karen and Alexis are very organized and made sure that everything ran smoothly on the big day. They met me at the door,helped me unload my bags, and then began putting everything in place. All we had to do was savor the moment! I highly recommend The Whitlock Inn! 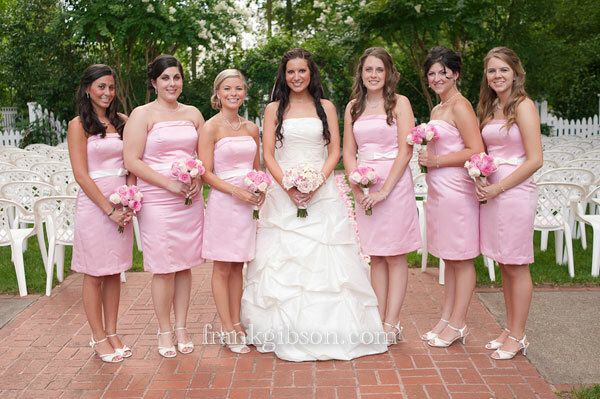 Alexis and her staff at The Whitlock Inn made everything about planning my daughter's wedding effortless. And then they overdelivered on IT ALL!! EVERYTHING WAS PERFECT. The setting, the food, the flowers, the staff. It was seamless and when we arrived we had nothing to do but enjoy ourselves....things I hadn't even thought of were already taken care of. All of our guests were wowed....we had a buffet style reception, and we thought it was "simple" as compared to some over the top bridezilla affairs we had perused...yet The Whitlock Inn made us all (bride, groom, family and friends) feel like we were attending the event of the year!! I highly recommend having your wedding here. 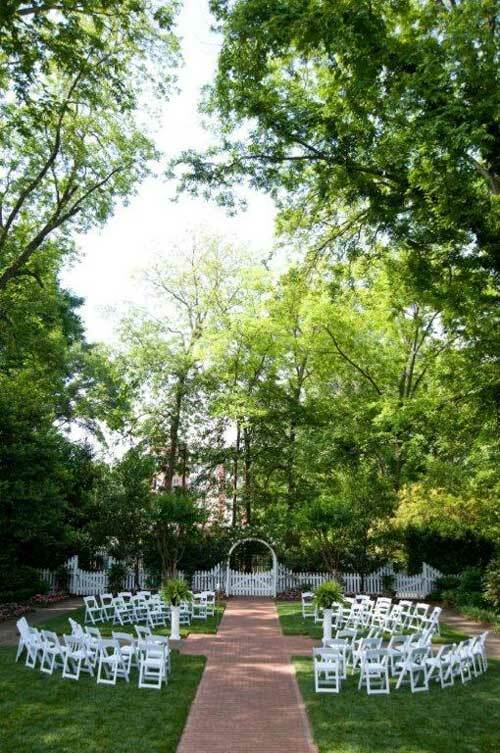 This is THE place for a southern bride to have the wedding of her dreams. We had the wedding ceremony and the reception at the Inn. I highly recommend this for any bride who wants to be as stress free as possible. Alexis and her staff made every little detail happen for me. I loved their flexibility in planning and they went out of their way to make our wedding personal and meaningful. 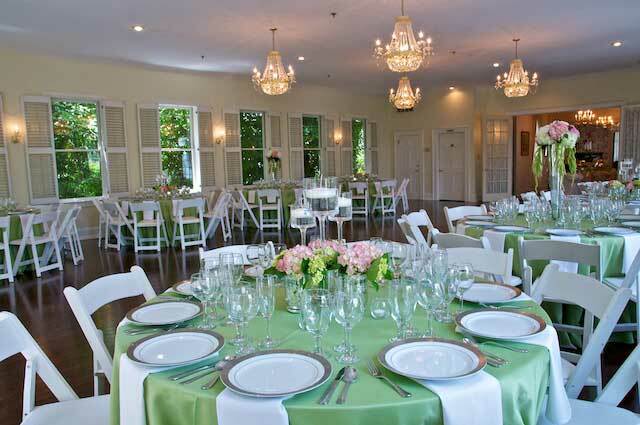 The catering is top notch and the Inn is just a beautiful backdrop for the perfect day. I don't think I could have found a more perfect place to have our wedding reception. Alexis was so accommodating - and so organized! She truly went above and beyond for us. 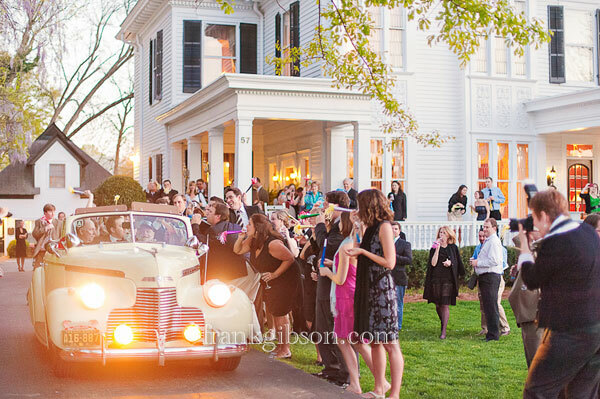 The Inn is such a beautiful and elegant backdrop for a charming Southern reception. Only thing I would change would have been to hold my event either earlier in the day or in the summer time when the days were longer so that I could have taken more pictures! I thought Alexis and her team (caterer, wedding planner, cake baker) were great! They were very accommodating to our crowd of over 250 (the inn is supposed to only hold 200). The food was excellent and they were very flexible with allowing me to decorate as I wanted to.